Attending a weekly dance class – just for fun – has so many more benefits than just the obvious ones. As well as helping children move their bodies, dancing also helps to increase their confidence and social skills. Dancing means new friends, new music and new skills to learn – that’s so much more than moving your feet to music. These days kids don’t get as many opportunities for physical play as previous generations…..so instead of playing outside, climbing trees or riding bikes, children now spend a lot of time sitting in front of the TV or computer screen or playing on their ipads or Playstations. At Dance Generation we are passionate about doing our best to get children motivated and moving again by offering them an activity that’s great fun to do, not too difficult, and that most of them enjoy – especially as many of them now want to be able to dance just like the pop groups on the TV! 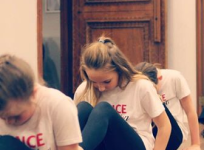 At Dance Generation all our dancers are treated equally and everyone, regardless of age or ability gets to shine at the front! We never just put our best dancers at the front and centre, either on stage, at classes or during Exams. We want our pupils to enjoy their dancing and look forward to classes. There is never any pressure to ‘get it right’ and we never judge or compare anyone – all we ask is that you try your best! Dance Generation classes are a mix of popular dance styles including FREESTYLE, DISCO, STREET DANCE, JAZZ and LYRICAL. We have also recently introduced some CONTEMPORARY style dance routines for the older children, as many of them now study GCSE or BTEC dance at school. We follow the Key Stages 1/2/3 taught at schools and the IDTA Freestyle Syllabus. In addition to teaching routines, all classes start with a warm up followed by a series of dance exercises, which are designed to help with co-ordination, balance, rhythm and body awareness. We also often include fun confidence builders in the form of dance games and we actively encourage our pupils to get to know their dance class ‘mates’ and make new friends. Most of our classes have two teachers and a student teacher. Classes are generally split by age group/school year – ie PRIMARY CLASS is for children aged from 4 (Reception class) to age 7 (Year 3). JUNIORS are school years 4/5/6 and the SENIOR class is for children aged 11 & over (from school Y7). However, we also take into consideration the ability of our dancers, which means that if any of our dancers are exceptionally talented, we would place them in the class we believed was most suited to their ability – regardless of age. All childrens classes run in conjunction with the schools – so we break for Summer, Easter & Xmas and all Half Terms. We follow the IDTA Freestyle Syllabus. 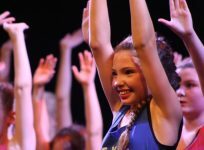 Although are dance classes are primarily for fun, we do offer all pupils the opportunity to take IDTA Dance Examinations and we hold a fully costumed DANCE SHOW & AWARDS EVENING at the Mick Jagger Centre every summer. See NEWS & EVENTS page for more info. We are fully insured and all staff are DBS Checked and hold First Aid Certificates. 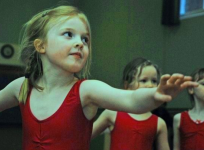 All children’s classes are £6 per lesson – payable Half Termly in advance after a SIX WEEK TRIAL. The first class is FREE.